For Dry / Mature Skin. 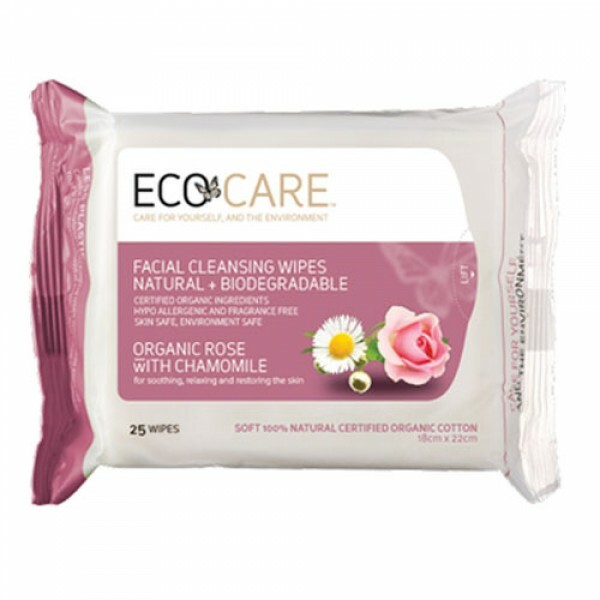 Hypo-allergenic organic cotton cleansing wipes with organic rose and chamomile for cleansing, refreshing and conditioning the skin. Most suitable for dry or mature skin types, these wipes may also be useful when travelling to cold dry climates which can leave skin feeling tight and drier than usual. Unique formula powerful enough to break through oil and make up yet gentle enough to leave skin soft and nourished. Three types of Organic Rose Oil are included to tone and balance the skin. Organic Chamomile can moisturise and soothe even sensitive and tired skin. 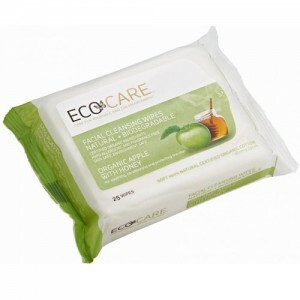 The wipes are made from 100% certified organic cotton making them soft on your skin and the environment. The packaging is made from Cardia Biohybrid Plastic using renewable content and less oil. This means that that they have less environmental impact and are more sustainable. Aqua (Water), Cotton¹, Polyglyceryl-4 Caprate, Rosa Gallica (Rose) Flower Extract, Rosa Damascena (Rose) Flower Oil*, Rosa Centifolia (Rose) Flower Oil*, Concentrated Aloe Barbadensis (Aloe Vera) Leaf Juice Powder¹, Anthemis Nobilis (Chamomile) Flower Oil, Betaine, Levulinic Acid, Potassium Sorbate, Camellia Simensis (Green Tea) Leaf Extract¹, Sodium Levulinate, Glycerin, Citric Acid, Sodium Citrate. Ascorbic Acid², Sorbic Acid. ¹Certified Organic Ingredient. ²Nature Equivalent. Not tested on animals.Store in a cool dry place, out of direct sunlight. Gently cleanse your face and eyes, resealing the pack with the self-adhesive label to avoid drying them out. Follow with a moisturiser to suit your skin type. SLS, Parabens, Synthetic Fragrance, Mineral Oil.